Sometimes dates don’t go the way you wanted them to go. And that’s okay. But some of them deserve the name of the Worst Date in My Life. Nexter.org collected some little stories for you. Well, when was the last time you went to church? Killed two birds with one stone! You can explain whatever the hell you want, but explaining The Dark Knight is over the line. He took you to his parents on the first date? He must’ve had REALLY big plans on you. Well, now we want to see your teeth. Who’s your dentist, btw? 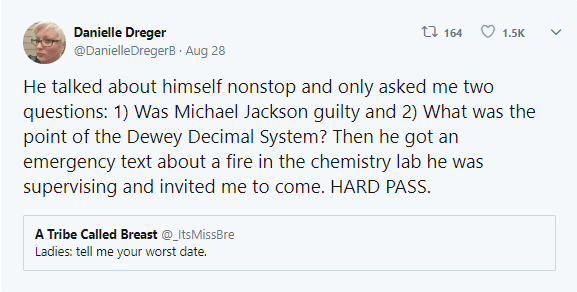 How could you pass on the fire in the chemistry lab?? Run, girl, run! This is some maniac pick-up line there. You will never love this man more than he already loves himself. And the Biggest Jerk of This Article Award goes to…. 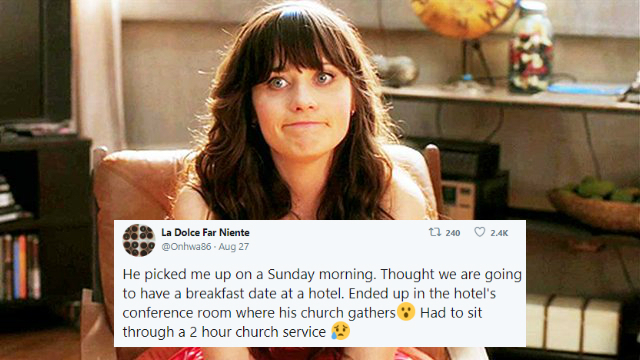 What was your worst date like? Sometimes dates don’t go the way you wanted them to go. And that’s okay. But some of them deserve the name of the Worst Date in My Life. Nexter.org collected some little stories for you.